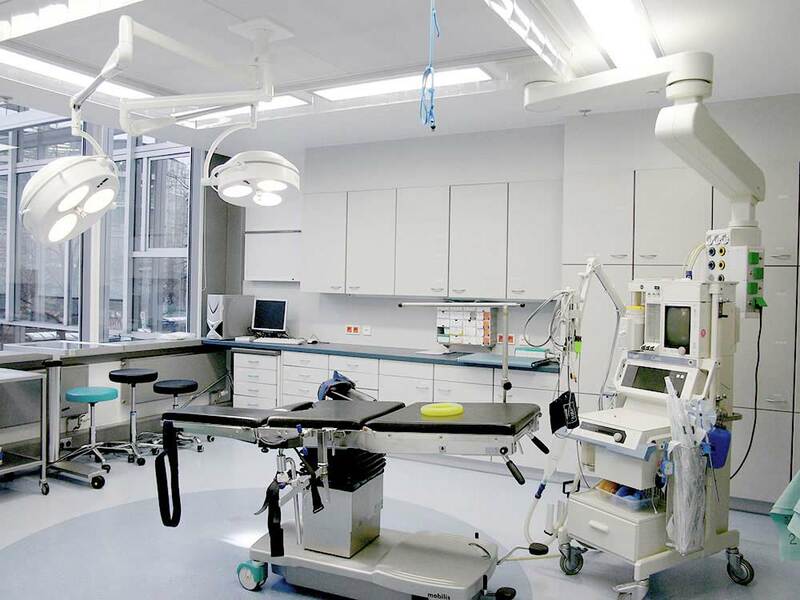 The rooms in the clinic are large and spacious. 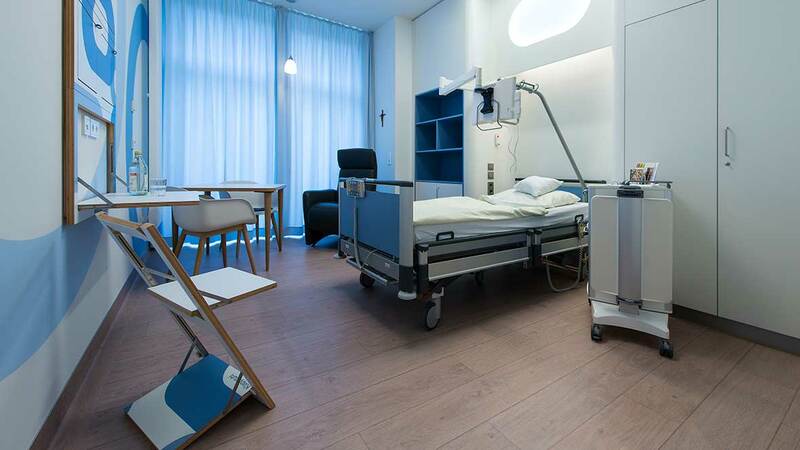 Each room has a bathroom with a shower and a toilet that can be used by the patients during their stay. The electric beds can be adjusted with a remote control. The patients also have individual lockers for their personal items. The bedside stand can be easily transformed into a table to allow the patient eat in bed. The Internet can be connected upon request. 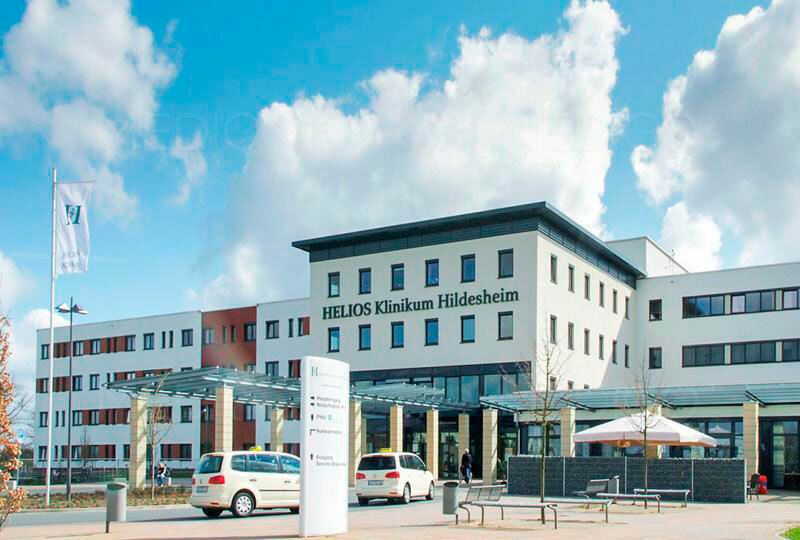 Academic Hospital Hildesheim offers abundant nutrition with a large number of selection options to all patients. You can find any information about the current meals of choice in the weekly menu plan. The choice of meals is quite wide: for instance, in addition to the standard meals there are 5 meals offered every day for lunch. Patients, who follow a special diet for health reasons, have to accept in their own interests restricted choice of meals. A dietician can visit you upon request and provide you with an optimal dietary solution. Patient rooms are equipped with TV. Headphones are needed, which you can take with you or receive from the medical staff. You may stay at the hotel during the outpatient program. 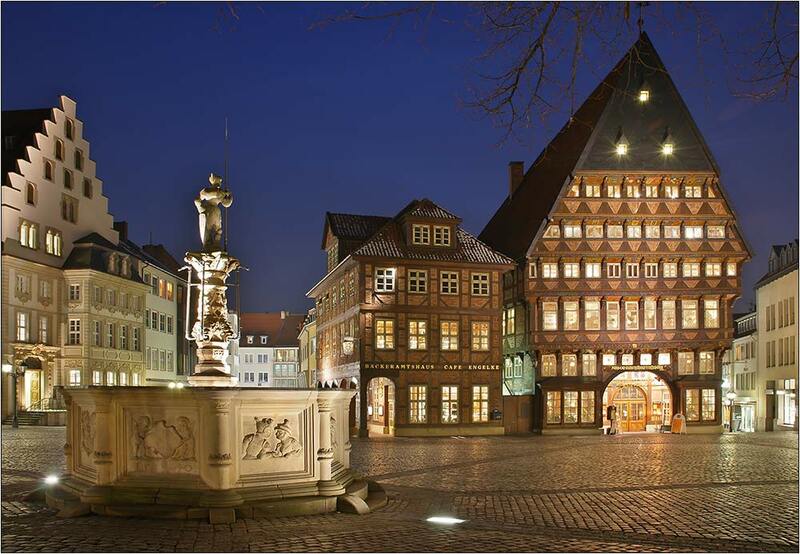 Our managers will help you to select the most suitable accommodation for you.